This peak is #54 in Prominence List for Colorado .Twilight Peak is the highpoint of the West Needle Mountains in southwestern Colorado. 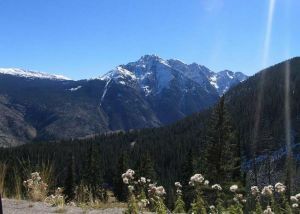 The standard approach is via a trail from Molas Pass to the north. The trail leads to Crater Lake from where you can scramble to the summit.